The Participate cultural exchange program wouldn’t be possible without our teachers! We provide an opportunity for current and former program participants to earn money for referring new teachers. If a teacher you recommend is accepted and stays through the end of October of their first school year, you can earn $1000. Keep reading to learn more about the process. Or, visit our application requirements page for more information about teaching with Participate. Talk to your fellow teachers about Participate. Your colleague applies to teach with us. 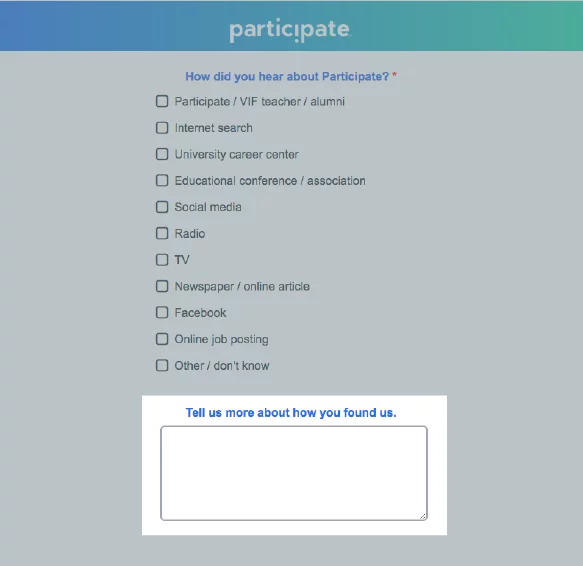 In the application form, the teacher writes your full name when asked how they heard about Participate. The teacher is accepted into the program, is placed, and stays through October of their first school year. Referral payment is mailed to you via debit card in November. The teacher you refer must identify you as the referral source when they apply. If they do not, we are unable to confirm the source and you will not receive payment. Why not come back yourself? Participate teaching alumni are welcome to apply for a second (or third...or more!) opportunity. Only current and former Participate J-1 program participants who complete the exchange in good program standing are eligible to participate in this referral program. Teachers currently applying to Participate are not eligible for a referral reward. This referral program is intended to allow former Participate teachers to refer teachers that, to the best of their knowledge, qualify for Participate and have the potential to be successful Participate teachers. Unauthorized advertisements (info sessions, meetings, presentations, flyers, brochures, etc.) use to attract prospective applicants are prohibited. Any teacher placing using unauthorized advertisements are not eligible for any referral rewards. All reward amounts are listed in U.S. dollars ($). For the referral reward ($1000) to be paid, any referred teacher must be placed, successfully complete Participate orientation upon arrival to the U.S. and still be actively teaching on October 31st. Only one Participate teacher may receive credit for referring any one applicant. When multiple names are listed by the applicant in the application form, Participate will ask the applicant to identify which of the teachers listed was his/her main referral source. Former Participate teachers who apply to the program for another term may not identify themselves or anyone else as their referrer. Participate will not pay a reward to a teacher who refers an alumni candidate. If the referred has already applied to Participate within past two years, no referral reward will be awarded. Payments will not be made for referring a spouse or any other immediate family members. There is no limit to the number of referrals a teacher can make each year. If any current or alumni Participate participant who is eligible to receive a referral reward has a debt outstanding with Participate, then the reward amount will be credited toward the debt. These teachers will receive a letter confirming that the reward was credited toward the debt. It is the responsibility of the current or former program participant to ensure his or her participation in this program is in compliance with local laws prior to participating in the program or accepting any reward. Eligibility to receive a referral reward under visa status or laws in his or her home country prior to accepting the reward payment. Participants in this referral program are responsible for providing current contact information to Participate. Participate is not responsible for payments that are delayed or lost due to incorrect contact information. Referral rewards payments will be processed no later than November 30 of the year in which the referred teacher is placed. Rewards payments could arrive up to 10 business days after that date. Participate is not responsible for paying a referral reward unless Participate receives correct contact and payment information. 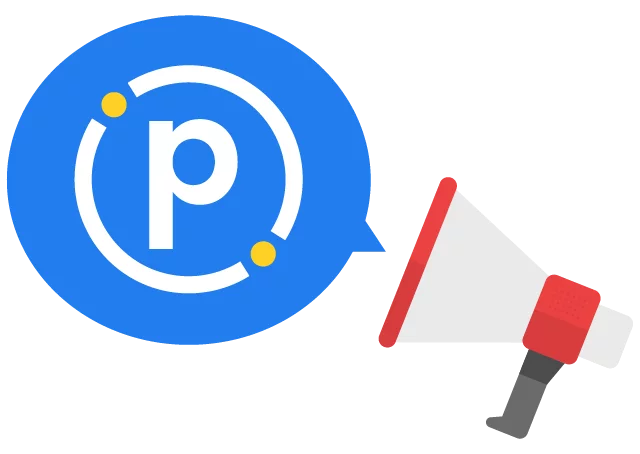 All teachers who are referred will be added to the Participate email distribution list to receive information about Participate and international exchange. The referral email will provide unsubscribe instructions and the name the referror. This referral program is intended to be discretionary and incidental in nature and may be modified or discontinued in the sole discretion of Participate at any time without prior notice. Participate’s liability under this program is limited to the amount of the referral reward which may be payable as described herein. All disputes regarding this referral program, including whether a referral qualifies for payment, are subject to final determination by Participate. You agree that you will be solely responsible for paying any taxes on any rewards that you may earn. Your participation in the referral program shall constitute your acknowledgment that you understand and agree to abide by these rules. Participate teachers who are currently teaching on the program will receive the reward via payroll or check. The referral reward amount is subject to taxation in accordance with applicable laws. If the referral is received via Participate Adventurers, you will receive the final 30,000 points credited directly to your account. Participate reserves the right to provide rewards via pre-paid credit or gift cards. Rewards to Participate alumni will be sent only via a payment in the mail. Payment can be mailed anywhere. If the referral is received via Participate Adventurers, you will receive the final 30,000 points credited directly to your account.